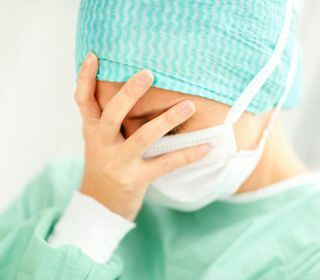 In medical malpractice cases in D.C., Maryland and Virginia against hospitals, HMOs and doctors, we see a lot of the same medical mistakes over and over. No system for patient safety. Imagine if you have a test ordered by your primary care physician to diagnose or rule out a potentially life threatening disease - heart attack, pulmonary embolism (also called a blood clot), stroke, etc. and there is no system to make sure your doctor gets the test results and calls you. Something simple like a checklist to make sure the test was ordered, reported and the results given to the patient can prevent severe injuries or death. Doctors not evaluating the patient. What if you're in labor and your ob doesn't come to the hospital, leaving you in the care of residents or interns, and complications with the delivery come up, requiring an emergency c-section to save the baby's life (or mom's). Coming in to evaluate the patient instead of just having the nurses or interns do it, may detect the complications earlier, before its a crisis situation, and prevent a severe injury to the baby or mom. Hospitals, HMOs and doctors not telling the patient about alternative diagnoses, treatment and therapies. This seems to be happening more and more - physicians and healthcare providers not bothering to inform patients and discuss options. This last one - not telling the patient - happened to me with one of my kids and a condescending doctor who thought he knew better than a parent what was best for the child. Let me tell you, I was pissed. How dare this doctor presume to make a choice for one of my kids without even discussing options with me. Let me tell you, when we see that in one of our cases, it is very powerful with a jury. Questions about medical malpractice involving you or your family? Call us at (202) 393 - 3320 and speak to a live person who can actually get started helping you, not someone in India putting your info into a referral data base some law firm with a fake office in D.C. paid to be listed on.